Forget what you think you know about electric blankets, as our research found that today's models are safe and comfortable. Sunbeam heated blankets, throws and mattress pads get lots of recommendations, but the best electric blanket overall is a low voltage one from Soft Heat. The Sunbeam Velvet Plush Heated Blanket is a favorite with many thanks to its velvety plush fabric, toasty warmth and attractive price point. It lacks the low-voltage technology of the Soft Heat blanket, but it heats up faster and is warmer to the touch. A 10-hour auto shut off is standard, but versions with adjustable (2, 6 or 10 hour) auto shut off are available. 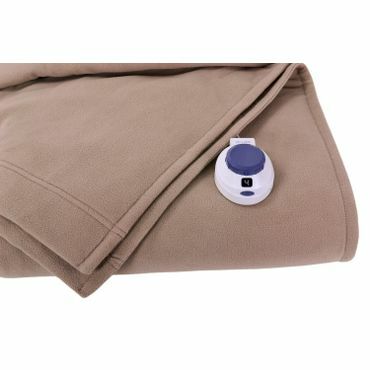 Reviews indicate that the Sunbeam Electric Heated Fleece Blanket is a good quality heated blanket, especially considering its price. Features are good, including dual controls in larger sizes and automatic shut off after 10 hours. There are only five heating levels, but most users don't seem to mind -- or even notice -- the reduced versatility compared to pricier blankets. It meets UL safety standards. 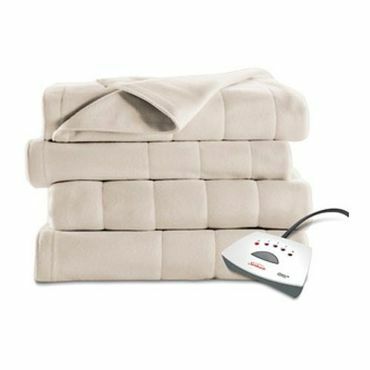 Specs that Matter Heat settings -- 3 Auto shut-off -- 3 hours Sizes available -- 50" x 60"
Traditional electric blankets offer convenience and versatility. They can easily be put on or pulled off a bed, even in the middle of the night if you get too warm and the blanket has yet to cool down. However, since they lay above you on the bed, they lose a little bit of efficiency as heat that's radiated upwards is lost. Laying between you and your mattress, electric mattress pads are a popular alternative to an electric blanket. That makes spur-of-the-moment use more difficult (unless you want to strip down the bed to pull it on or off), but improves energy efficiency -- you, not the ceiling, are the beneficiary of heat that's radiated upwards. 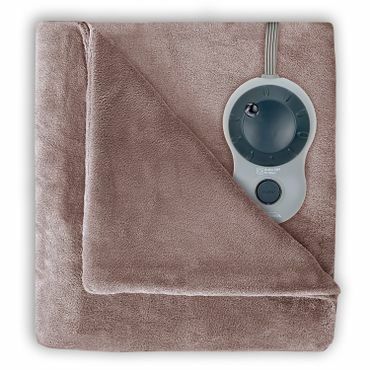 They are similar to standard electric blankets, but heated throw blankets come in a smaller size that's ideal for wrapping around yourself, say while curled up on your couch on a chilly night. However, heated throw blankets won't generate as much heat as a full-sized electric blanket. Getting a good night's sleep on a cold winter's night can be a challenge, but heated bedding can be a big help. Electric blankets, electric throws and heated mattress pads offer a lot of appeal for people who would love to crawl between preheated sheets on a chilly night. Those suffering from cold feet in the middle of the night might find them a godsend. Additionally, some claim that an extra warm bed helps alleviate body aches. Electric blankets, electric throw blankets and electric mattress pads make a warm bed a reality with just a flick of a switch. Many have preheating functions, which allow you to set a desired temperature while getting ready for bed. Heat controls typically feature up to 10 temperature settings so you can get the level of comfort that's right for you. Additionally, many queen-sized and larger models may have two controls, one for each side of the blanket. That means one sleeper can stay as cozy and warm as they prefer without giving the other a case of the night sweats or a cold shoulder. Electric blankets haven't always enjoyed the best reputation. Older models tended to be thick and scratchy, and sometimes posed a fire hazard with extended use. Modern heated blankets are much improved. They warm you with thin, supple wires sandwiched between layers of ultra-soft fleece, plush, or knitted material. Learning from the past, safety ratings are now paramount, and electric blankets and mattress pads come with automatic shut-off timers and amply rated power adapters to keep the bedding -- and you -- from overheating. Some, like the Soft Heat Luxury Micro-fleece Blanket (Est. $65 and up), use low-voltage electricity, which experts consider safest of all -- and are an especially good choice for those with pets. Additionally, most modern electric bedding can be machine-washed and even machine-dried, as long as the manufacturer's recommendations are observed. That last part is still very important, however, as even the safest electric blankets can become less so if they are damaged or used improperly. If the potential for an electric-blanket fire is something that could keep you up all night, The Electric Blanket Institute holds that heated mattress pads are "inherently safer" still. Electric blankets can get bunched up, allowing heat to buildup -- and that was a major source of electric blanket fires with older models that lack modern safeguards. Since a heated pad is held tight to the mattress, there's much less chance of that happening. 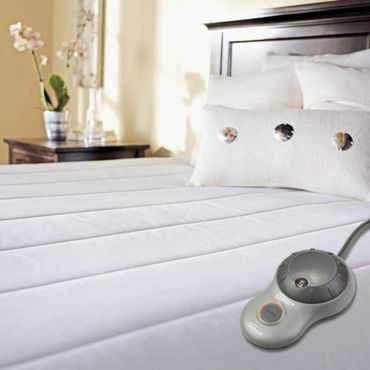 "The Best Electric Blanket and Heated Mattress Pad"
Electric blankets, heated throws, and heated mattress pads have received a little more attention from professional reviewers over the past year, including a review of electric blankets and mattress pads by TheSweethome.com, and of electric blankets by YourBestDigs.com. Good Housekeeping also provides testing-based reviews; though its coverage is several years old now, most of the electric blankets and heated mattress pads rated there are either still sold, or are offered in nearly identical models. The Electric Blanket Institute does not rate electric blankets or mattress pads, but offers helpful buying guidance and discusses the differences between models offered by the major manufacturers. Owners fill in the rest of the picture. 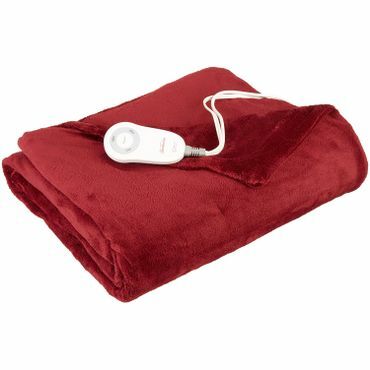 While not every electric blanket, electric throw or electric heating pad gets tons of feedback, some draw hundreds and sometimes thousands of reviews across sites such as Amazon.com, Walmart.com, ComfortHouse.com and elsewhere. When analyzing reviews to find the best choices, we look for feedback regarding performance, ease of use, comfort and the overall ownership experience. Not every electric blanket, electric heated throw blanket, or heated mattress pad excels on every point, but the very best ones will outperform the competitors in most regards.